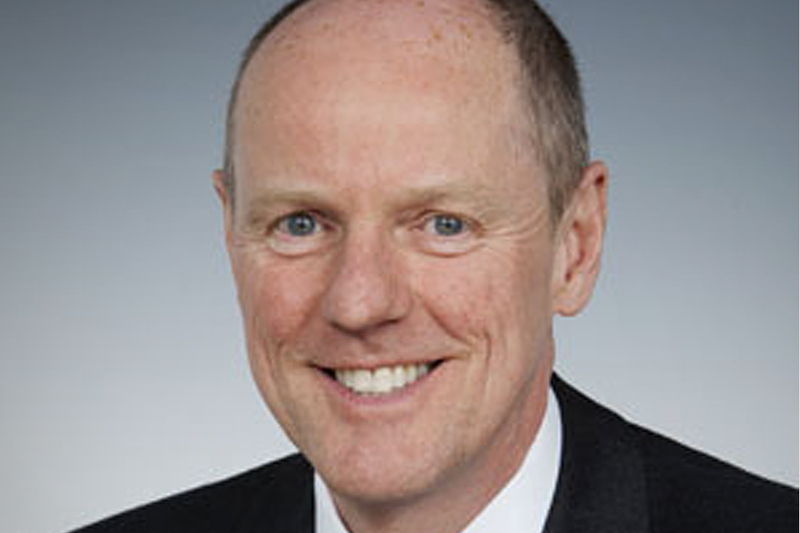 Schools Minister Nick Gibb's speech to Stonewall's Education for All conference. Thank you very much, Ben, and thank you everyone at Stonewall for your kind invitation. It is always a pleasure to work with Stonewall, and I am delighted to be here today. I’m also very happy to be here with Gok, who is doing excellent work on body image in schools. Although, talking of body image, I have to admit that sharing the stage with a style expert has made me feel slightly self-conscious - I’ve never spent longer picking out a shirt and tie…and yet I still chose this one. Today’s conference is addressing a hugely important topic. Tackling poor behaviour and bullying are top priorities for this Government, and we are supporting schools to take action against all forms of bullying, particularly prejudice-based bullying and homophobic bullying. Pupils have the right to come to school and focus on their studies, free from disruption and the fear of bullying. Schools should be happy and safe places for children to learn, and parents expect nothing less from our state education system. But the 2009/10 Tellus survey found that 28% of children had been bullied in the preceding school year, 21% had been bullied outside school, and 17% had been victims of cyber-bullying. Overall, just under half (46%) of pupils have experienced bullying at school at some point in their lives - and Stonewall’s research has found that two thirds of lesbian, gay and bisexual pupils have been victims of bullying, one of the highest figures for any particular group of children. We need to send the message that homophobic bullying, of any kind and of any child, is unacceptable. No child should have to suffer disruption, victimisation or fear as a result of bullying, whether on or off school premises. But I believe bullying can be tackled. Successful schools have clear policies, developed with pupils and parents, so that pupils understand what is expected of them. …Where pupils treat each other, and staff, with respect; where teachers proactively talk to pupils about social and cultural differences, and what behaviour is acceptable; where pupils understand the impact that their actions can have on others. That culture extends beyond the classroom into the corridors, the canteen, the playground, and beyond the school gates. The schools and local authorities taking part in Stonewall’s Education Equality Index are making real strides towards this kind of culture, and Stonewall is, I believe, playing an important part in encouraging and promoting best practice. One issue which I find particularly concerning is the casual use of homophobic language - for example, using the word “gay” in a pejorative sense. We shouldn’t underestimate the impact of language in our society, and already, Stonewall has found that 98% of young gay pupils hear the word “gay” used as a form of abuse at school. Even when this language is used pejoratively without thinking and without intended homophobic prejudice, it is still offensive and still unacceptable. We have to show that this use of language is as unacceptable as racist slurs in our schools and in our society. Teachers have a huge role to play in changing how language is used within a school. There’s a school in the East of England, where behaviour was generally good and homophobia and transphobia weren’t a problem, which identified that the unthinking and derogatory use of words like “gay” was widespread. They sought specialist support from an outside organisation, Gendered Intelligence, to work with groups of secondary boys on issues of identity and gender. As a result of this work, the school removed the stigma from gender-related terms so that pupils could use language without embarrassment or negative association. I know that there may be some here may be thinking, “this is all very well, but how is the Government going to make a difference and what is it actually going to do?”. Well, we know that we can’t just set a target, order an inspection or pass a law and expect all homophobic bullying to disappear. There are some things that can’t be prescribed from the centre. If we could, we or the previous Government would already have done it. Unfortunately, there are no short cuts or silver bullets. But we will use all the tools at our disposal to send a clear and unequivocal message that homophobic bullying is unacceptable. That means hammering home our message at every opportunity. Whether in speeches like this to specialist organisations and people working in the front line, in detailed discussions with Parliamentary committees, in wide-ranging speeches to teaching unions or political Party conference set pieces; week in, week out, year in, year out, education ministers in this administration will keep saying that homophobic bullying is not acceptable in our schools. We are working with schools in a new way, by putting more trust in teaching professionals to find the best solutions for their schools, rather than dictating from the centre what they should do. That also means a change to the way in which schools work with organisations like Stonewall, EACH and the Anti-Bullying Alliance. This is a real opportunity for specialists in this area to work with schools and give teachers the benefit of their experience. When it comes to homophobic bullying, for example, the Government is not the expert. Stonewall is, and so are other LGBT organisations working directly with school staff and young people every day. Our role in Government is to help schools to find and use these expert organisations - not just Stonewall, but also groups like Schools Out, EACH and Gendered Intelligence. The role of schools is to concentrate on their core business - educating children to become knowledgeable, responsible adults who make a positive contribution to society. The role of organisations like Stonewall is to help schools, and help us, to create one of the most inclusive education systems in the world. Schools have a specific legal duty to tackle bullying and we know that schools need clear anti-bullying policies and procedures. Teachers need to feel confident about using the powers available to them to tackle bullying both on and off school premises. But I think Government does need to be careful in prescribing to schools and local authorities exactly what to include in their anti-bullying policies. Different schools across the country will need different approaches, and teachers should feel empowered to find the right solution for their pupils and their school. We believe that anti-bullying strategies need to be led and initiated by staff, rather than relying on the courage of individual children to make the terrifying admission that they’re being picked on. By its very nature, bullying often happens in secret, so teachers need to gather intelligence about what is going on in their schools, how and where. It’s also vital that pupils feel they can report bullying, and the most successful schools are developing creative ways for children to do this. Bradley Stoke Community School in South Gloucestershire is what we call a lead behaviour school - rated outstanding by Ofsted. Realising that children can be reluctant to report bullying in person (and even a “bullying box” for pupils to drop notes into is too conspicuous), they have developed a new online reporting system. Anonymous messages like “there’s going to be a fight at the shops after school tonight”, or “I’ve seen someone being bullied on the playing fields”, will mean that bullying can be addressed without identifying which child is being victimised and which child has made the report. While individual schools are developing their own strategies to tackle bullying, there are important changes that we need to make in Government. The last thing we want is for teachers, for example, to waste their valuable time wading through pages of overlapping and repetitive government guidance. We have already issued new and clearer guidance to help teachers to tackle poor pupil behaviour, cutting more than 600 pages of guidance down to 50. Anti-bullying guidance has been reduced from 481 pages to less than 20, including shorter, sharper advice on schools’ legal obligations and powers to tackle bullying, the principles underpinning the most effective anti-bullying strategies, and further resources for school staff to access specialist information on different types of bullying. I would like to take this opportunity to thank Stonewall for their valuable input and advice during the development of this document. Our Education Bill, which is currently making its way through Parliament, will give heads and teachers a range of powers to put them back in control in tackling bad behaviour and bullying. These powers are not mandatory, and we do not want to create a punitive culture in schools - but we want teachers to be able to use their judgement, and to have wider powers available when they need them. To measure the impact of all these changes, we are creating a sharper focus in Ofsted inspections on behaviour and bullying. Ofsted will now look at behaviour as one of only four important core areas, rather than as one of 27 different and equal headings in the inspection framework at the moment. So we are working more closely with experts, empowering teachers and school staff to take the lead in anti-bullying strategies, and stripping back the cumbersome bureaucracy. But Ben, if there is any message that leaves this conference today, I hope that it is this. That while Michael Gove and I are Education Ministers at the Department for Education, the education world should be clear that it is our express intent that the use of the word “gay” as a pejorative adjective is as unacceptable in our schools as any racial slur. And we expect teachers and head teachers to react to it as they would to the use of any of the worst racial slurs.